Buy-to-let (BTL) mortgages are for landlords who buy property specifically to rent out. They are usually more expensive than normal mortgages, but they could help you become a property investor. Buy to let mortgages are assessed primarily on the rent you are charging. The rent you charge must typically be 125% of the mortgage payment (so for a mortgage payment of £800, you’ll need to be charging rent in the region of £1,000 per month). Some lenders also have a minimum income requirement as well, to give them some assurance you could meet mortgage payments during untenanted periods. Rates on buy to let mortgage deals will be higher than on similar deals for your own home. The amount of money that you need to put up can be higher for a buy to let mortgage. While for a mortgage on your own home you might be able to access a deal requiring a 10% deposit, buy to let mortgages require a minimum of 15/20%. In keeping with a mortgage on your own home, the very top rates are reserved for borrowers who can provide a deposit of 30-40%. Buy to let mortgages generally charge higher arrangement fees – for a loan of £100,000, fees can range from £1,000 to £3,500. It can often be the case that a mortgage with a lower rate can work out more expensive if the arrangement fees are high. Unlike a normal mortgage, you may be able to secure a buy to let mortgage way beyond your retirement age. This is because buy to let mortgages are usually assessed using the rental income you receive. If you’re thinking of keeping a buy to let into retirement be sure that you’ve considered that managing a property will be work, even if you employ a letting agent. As well, consider the effect that any untenanted periods will have on your finances, particularly as your income is likely to be reduced after giving up work. Most BTL mortgages are interest-only, which means you don’t pay anything off the lump sum borrowed each month but, of course, at the end of the mortgage term you repay the capital in full. You’ll struggle to get a buy-to-let mortgage if you don’t already own your own home, whether outright or with an outstanding mortgage. You must have a good credit record. Buy to let is a form of property investment. As such, you have the potential to lose money as well as to make it. 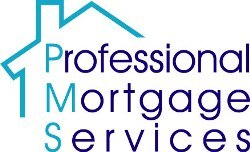 We currently have access to mortgages up to 85% loan to value for Buy to Let mortgages. The Financial Services Authority does not regulate some forms of buy to lets. A let-to-buy mortgage is very similar to a buy-to-let deal – but turned on its head. With buy-to-let you take out a mortgage on a property that you intend to let to tenants. With let-to-buy you intend to let your existing home to tenants, and you plan to buy another home elsewhere to live in. Your existing residential mortgage is effectively converted to a buy-to-let deal – based on the expected rental income, rather than your income. This frees you up to take out a new residential mortgage. In the current climate letting to buy is an option for people who feel otherwise stuck in their home. For example, you might need to move house because your family is growing and you need more space. If you can't achieve the price you want on your current home you might be unwilling to sell. Perhaps you want to take advantage of lower prices to upgrade your family home, without having to accept them on your existing property (like having your cake and eating it). Or maybe you simply haven't had any offers, but you need to move and you are confident you could easily let your home. A let-to-buy mortgage means you are no longer restricted by your existing residential mortgage, so you can put all of your income towards a new homeloan.